HA note: The following is reprinted with permission from Lana Hope’s blog Wide Open Ground. It was originally published on December 11, 2013. My regular readers may know that I grew up in this freaky national homeschool program called ATIA (now called ATI) led by Bill Gothard. 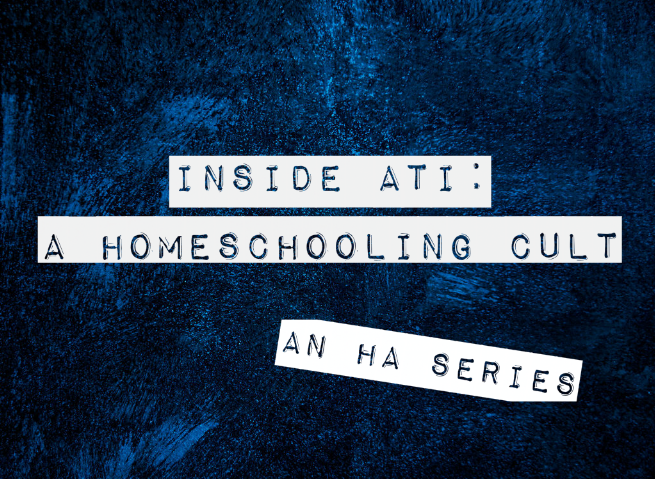 HA’s Inside ATI: A Homeschooling Cult series is sort of triggering for me. For a good reason. It brings back so many memories I could write my own series. This post by Nick really stood out to me. He writes about Gothard’s teaching on the umbrella of authority. One of the most problematic doctrines is the Umbrella of Authority. In this model of communication with God, divine inspiration and guidance flows from God, to the male parent, then to the female parent. It’s clear in this model that wives are subordinate to their husbands and ATI leaders preach that a woman’s first duty is to submit to the male leadership in her life. For wives, that means their husband. For daughters it means their fathers. In this model, the father is the only person in the family unit that has a sort of “direct connection with God.” By this, I mean that if a child believed God was calling them in a certain direction, the child could only pursue that option if their father “confirmed” it with God. This model profoundly impacts a child’s conception of themselves. If you disagree with your parents, you are disobeying God. If you are outside of your parents’ Umbrella of Authority, then you are literally opening your mind to Satan and demons. The umbrella of authority is not an isolated teaching. In fact, we started learning about the umbrella of authority from the age of 5 at Bill Gothard’s children’s program called the Children’s Institute. This is the Umbrella Song. Please listen. And then there is the Parachute Song, also about authority. Yes, these are kid’s songs. The Children’s Institute is a short camp for kids. I went to my first Children’s Institute when I was 6, and my last when I was 12. I went at least four times — at least twice while my parents were at the Institute of Biblical Life Principles (an adult program, which is a prerequisite to get into the homeschool program ATI), and once or twice at the homeschool conference in Knoxville, Tennessee. Over the course of those four times, I learned a lot of cute songs, but inside these cute songs are hidden a lot of bad ideology. This one is called Stand Alone. It’s about, well, standing alone in this world, and not getting caught up in the world. And while following other people off the cliff is not a good idea, we all know that this song was really about making us fearful of the world. And then there is the Orderliness Song. Instead of just teaching kids to be organized, we teach kids that if they are not orderly, then God is not pleased with them. Seriously, listen to this one. It’s really unbelievable. And here’s the Smile Song. It’s really cute, and I don’t initially have a problem with it. But it brings up bad memories for me because when I was a kid I had a poster next to my light switch that said, “Stop, You Aren’t All Dressed Until You Wear A Smile.” And everyday I wondered how to put a smile on my face. Mom said I was naked if I did not have the smile on. And yes, the poster came out of an assignment from the Wisdom Books (ATI’s homeschool program). I was naked, folks, because I did not always smile. It’s pretty ridiculous. When I think over my years in ATI, I literally get exhausted. We studied character trait after character trait, and no one ever told me that God loved me even if I wasn’t attentive. No one ever told me they cared for me even if I was careless or got impatient. All I was told was that if I was impatient, then I should sing the patience song. And if I was ungrateful, then I should sing the gratefulness song. Perhaps part of my wounds is not just what I was taught in ATI or the Children’s Institute. It is also about what I was not taught. I came home last week from a discussion with friends, and I was raw with them about my beliefs. They accepted me. They did not question me. They did not try to debate me. They just celebrated my difference. I came home, laid on my bed and wept, because it was the first time in my life where I was around a group of western friends in real life (I am not counting online communities or my friends in Asia) where they loved me for who I am and not for what I believe. And I think that’s why this ATI discussion is so triggering for me. It’s not because all the songs are evil, but because no one said it was okay to not to be the perfect Christian daughter. No one said that patience looks different for a kid than it does for an adult. I still remember the discussion on attentiveness vividly. I had studied attentiveness at home, which in ATI meant rewriting the definition of attentiveness in so many different ways until my hand hurt. And I’m a daydreamer (and probably ADHD). I can’t help it when I zone out. And I failed. And no one ever said it was okay. They said it was a sin. And then there I was at the Children’s Institute one day. And they asked me to promise to be attentive. I had already failed it at home, folks. Each night, at the CI, we had a session with everyone there, and we always had to make promises. This night we were to promise to be attentive to our parents. I refused to put up my hand. There was no way I could keep the promise, and I was tired. Oh, and here is the youtube channel of these songs! Was the Horst Wessel song next? Good God. This one comes next, where they build a big bonfire and burn their books. This resonates with me. I went to 9 CIs and taught 4. CI songs were the most influential of almost everything in ATI for me. The problem was that they were songs. So they stuck in your head. And that included the words. Every Sunday I pasted a smile on, regardless of my actual feelings, because of The Smile Song. Living in ATI was the most acting I ever did. Only it was life, not a stage. So glad I found out the truth of Mr. Gothard’s teachings before it was too late. EXACTLY!!!!! And the thing is, we KNOW the message of the smile song. It wasn’t just thank Jesus for a smile. Oh no, and yet ti was stuck there. Even though it was so triggering to listen to those songs I’m glad I did. I remember the children’s institute and the expectations and promises we were supposed to make. I homeschooled for ten years, and never heard of this ATI in all that time. Have heard of Bill Gothard but never knew who he was or what he does. What the heck? I also have lived in Mormon land my whole life, a religion of works beyond all others, and never thought a christian group would look MORE legalistic than the LDS. thanks for sharing and may God grant you healing and peace from this abuse.